Hello! My name is Kerry Anne Walsh. I’m 24, I’m from Northern Illinois, and I’m engaged to the love of my life. The one major issue in my life is that I no longer have a car. Getting a car was my main goal at the end of 2018. It took months, but I finally achieved this by purchasing a 2005 Chevy Cobalt for cheap. I didn’t care about its problems, as I didn’t have to rely on rides anymore. My mechanic & I became friendly due to how much I needed to bring my car in for repairs. He didn’t charge me a bunch of times since his initial fixes turned out to not work. He’s a great guy, and I appreciate what he does. I want to help out people like he helped me out. 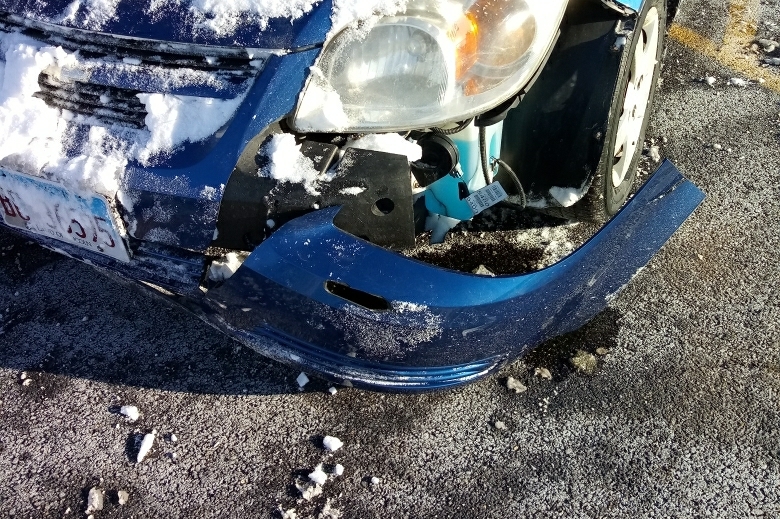 On Friday, January 25th, I got into a car accident. I slid off the road and ran into a snow ditch, smashing the driver’s side undercarriage. It was heartbreaking. I’d just gotten it clean, and now it was going to be in the shop until I could pay it off. A friend convinced me to try a GoFundMe campaign. I had to replace the front bumper, the transmission lines, the radiator, and the AC condenser. This work has been done, but I can’t use my car until I pay my mechanic. On the day of my accident, I had just landed a position at the local Jiffy Lube. I can’t wait to start working there. Orientation starts on February 7th. Hopefully, my car can be fixed by then!